With our Express Service, we can perform routine maintenance in an hour or less. Our service department also provide complimentary loaner vehicles. When it is time for Mercedes-Benz service, you do not have to come to us, we will come to you. We also have early bird drop-off for those looking to leave their vehicle with us in the morning. If you want to wait at our Mercedes-Benz center while our technicians are performing your service, then you can take advantage of our comfortable seating where you can also utilize our complimentary workstations and Wi-Fi. We always want our customers to experience transparent Mercedes-Benz service. That is why we provide live shop monitoring. You can watch as our Mercedes-Benz factory trained technicians get to work on your vehicle in our state-of-the-art facility. When they work on your vehicle, they will be utilizing the latest in Mercedes-Benz tooling, equipment, and parts to ensure that you get the best Mercedes-Benz service possible. 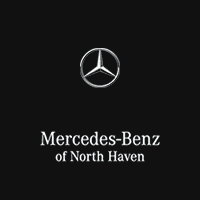 Mercedes-Benz of North Haven is here for you during your time of need. Whether you need to utilize our 24-hour roadside assistance or simply need a professional car wash and vacuum, we can make sure that you get great service every time. You can even schedule your service visit using our convenient online scheduler. We hope to see you soon.